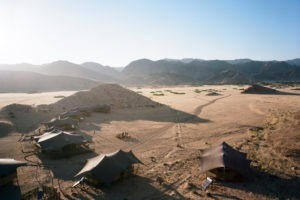 An exclusive camp in a hidden valley in Kaokoland – a place that only few have the chance to visit in a lifetime. 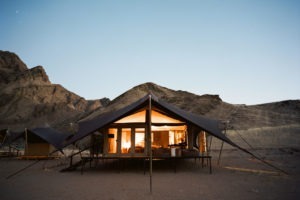 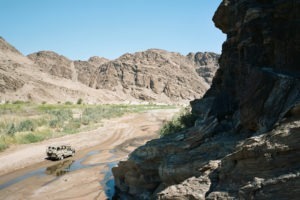 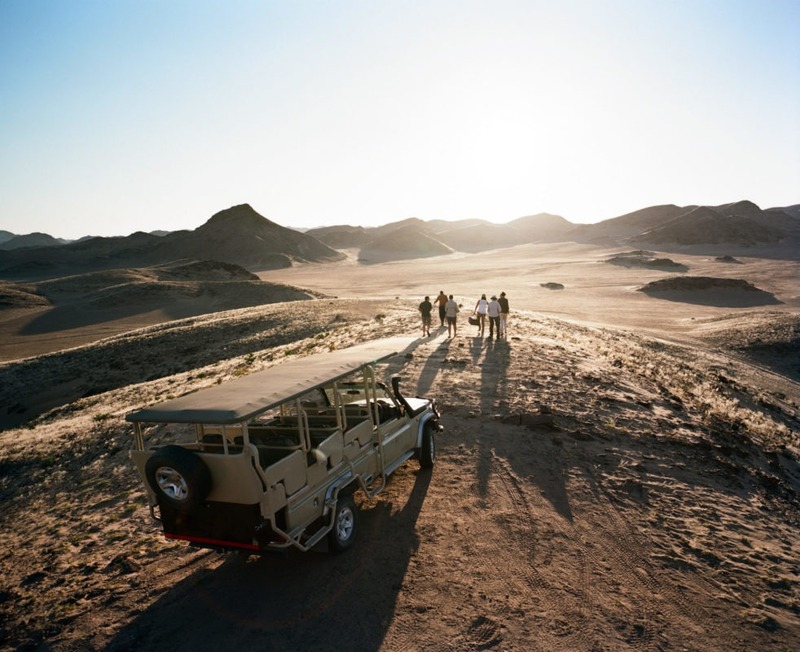 Hoanib Valley Camp lies in Namibia’s remote Kaokoland in midst spectacularly beautiful landscapes. 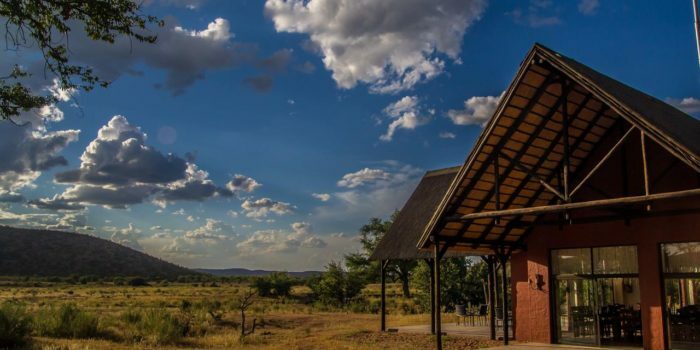 The camp is a joint partnership between local communities and the Giraffe Conservation Foundation, which aims to protect the endangered giraffe of the region. 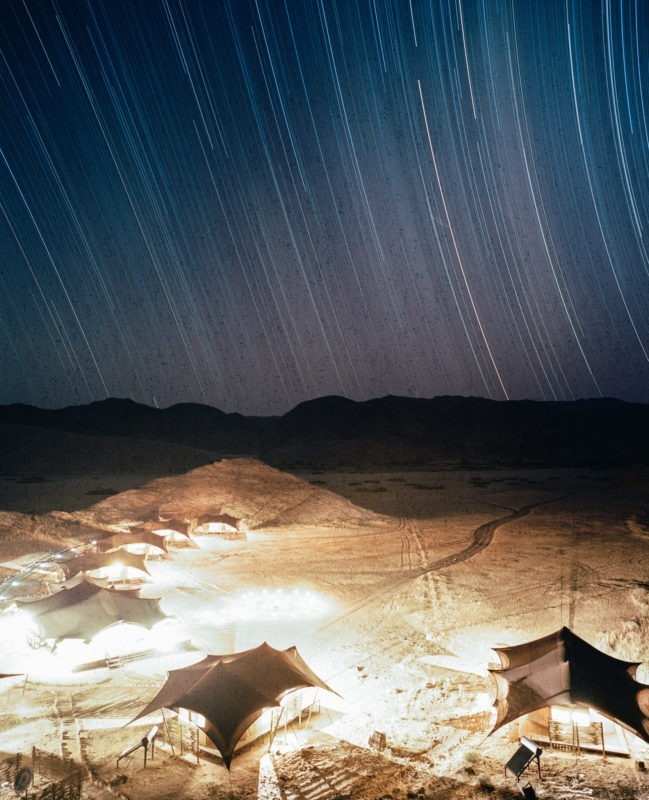 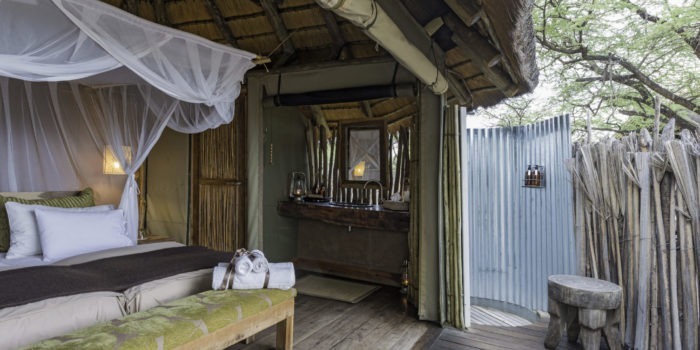 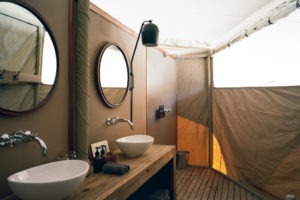 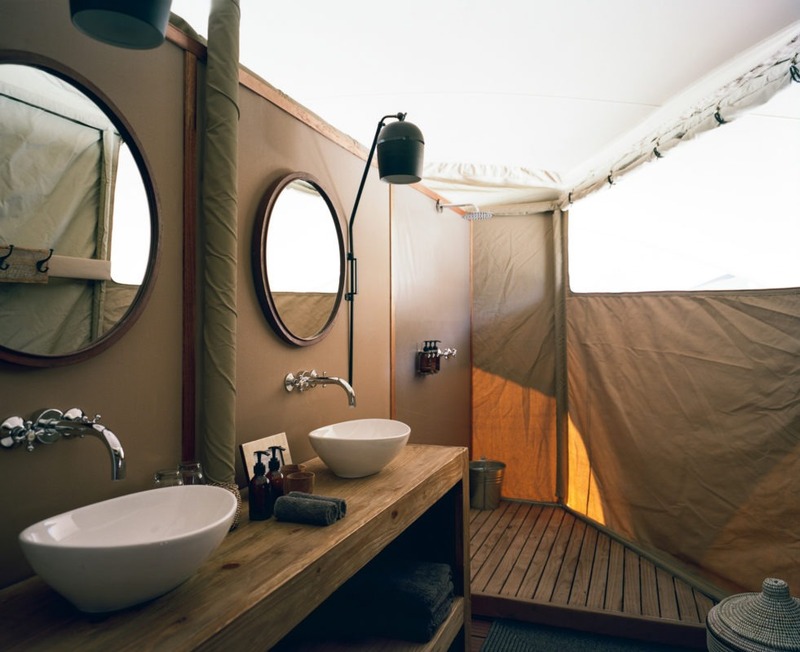 The eco-friendly camp operates with solar power, the carbon emissions are kept to a minimum level and the tents are built of recycled-materials. 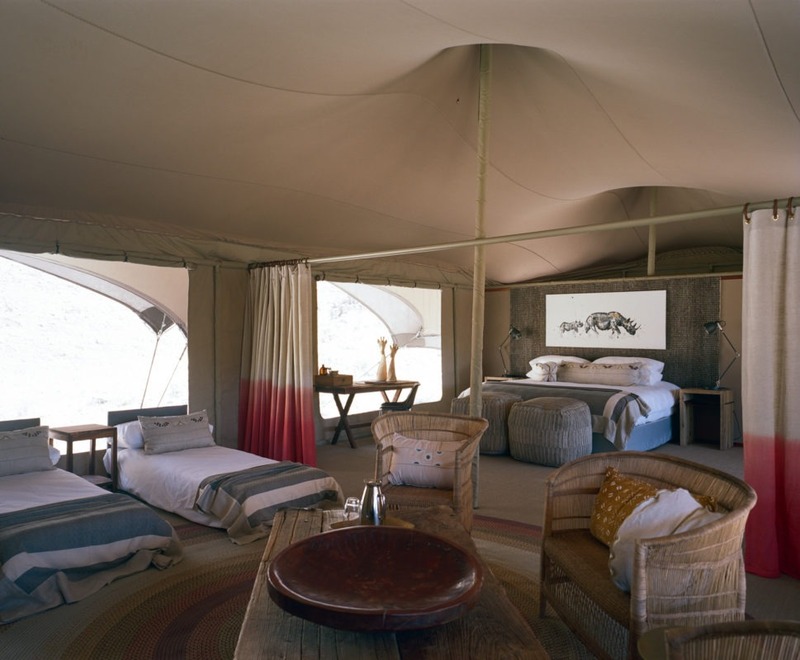 The six tented bedrooms blend in perfectly into the Hoanib valley as their colors, textures and patterns have been carefully chosen to reflect the natural surroundings. 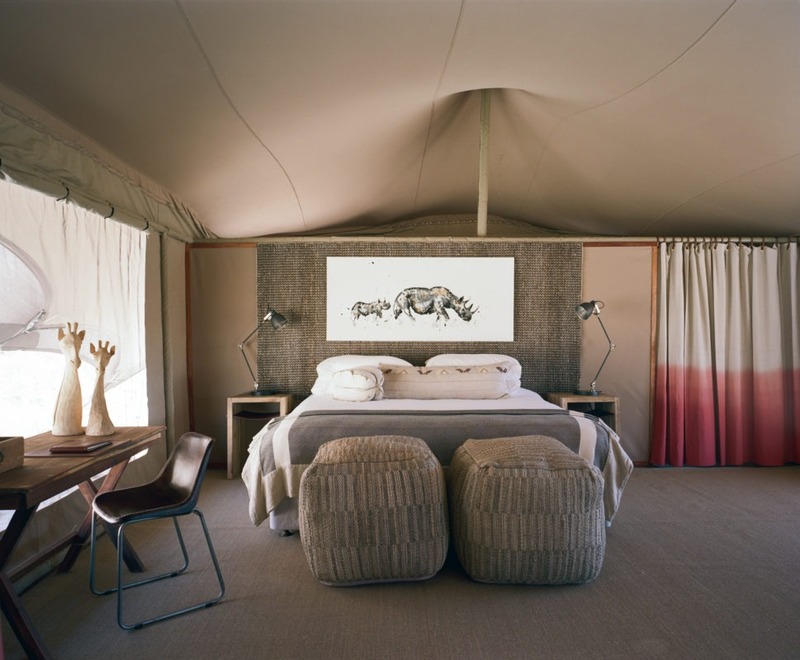 All fabrics are of local origin to create an authentic atmosphere. 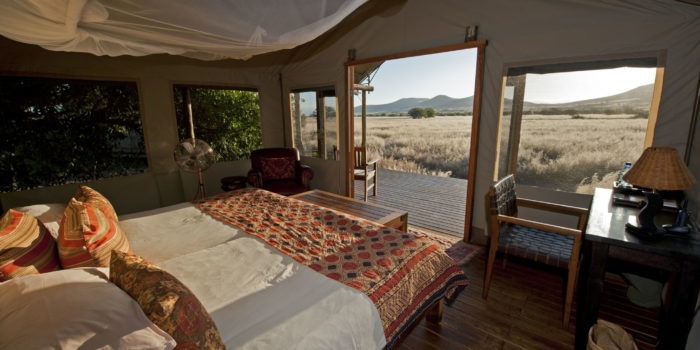 Each tent has a private veranda with incomparable views over the ephemeral Hoanib River and a magical starry sky at night. 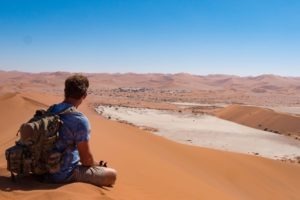 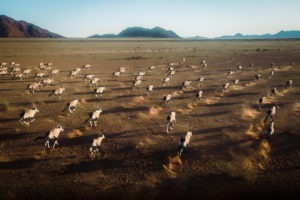 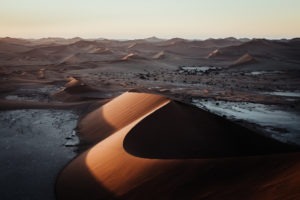 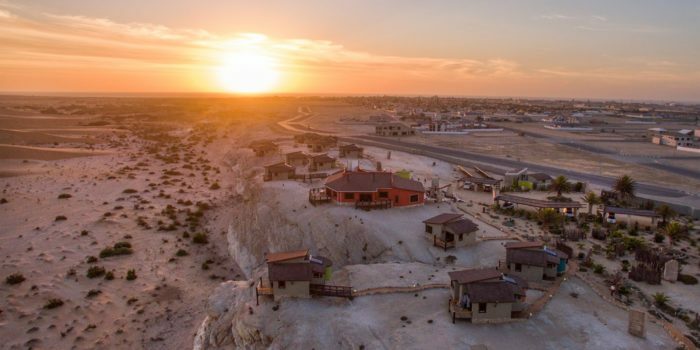 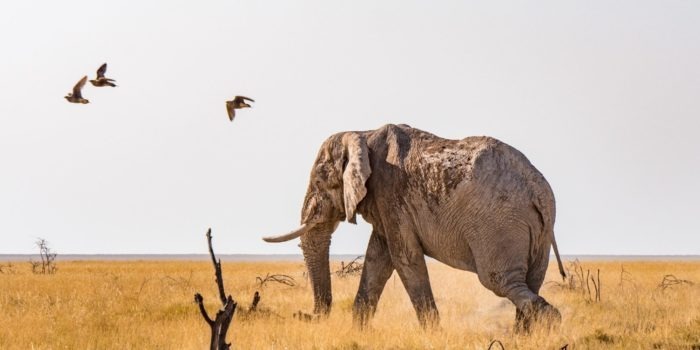 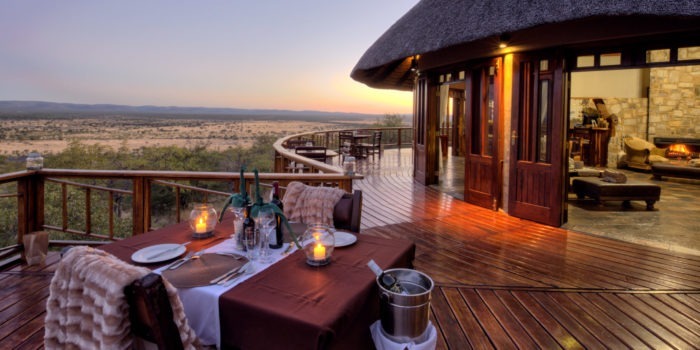 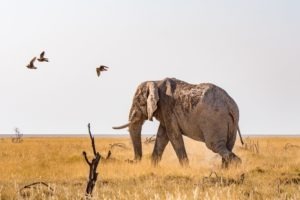 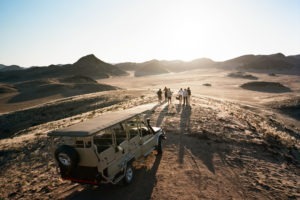 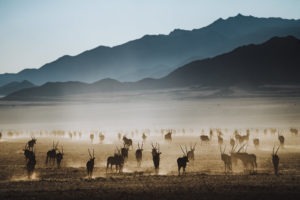 Guests can explore the wilds of the Namibian desert on a game drive and see desert-adapted elephant, endangered rhino and of course desert-adapted giraffe. 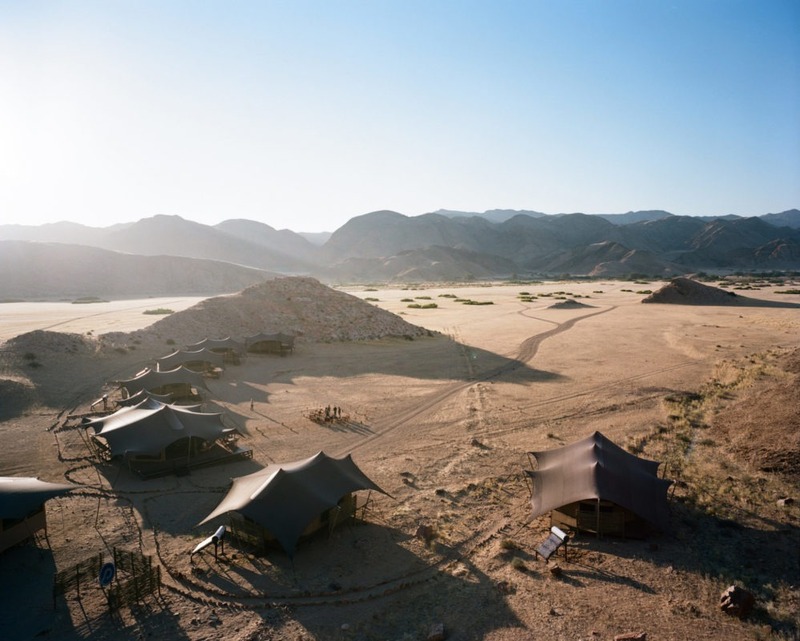 Or visit the fascinating Himba and Herero peoples, who live in this remote part of Namibia. 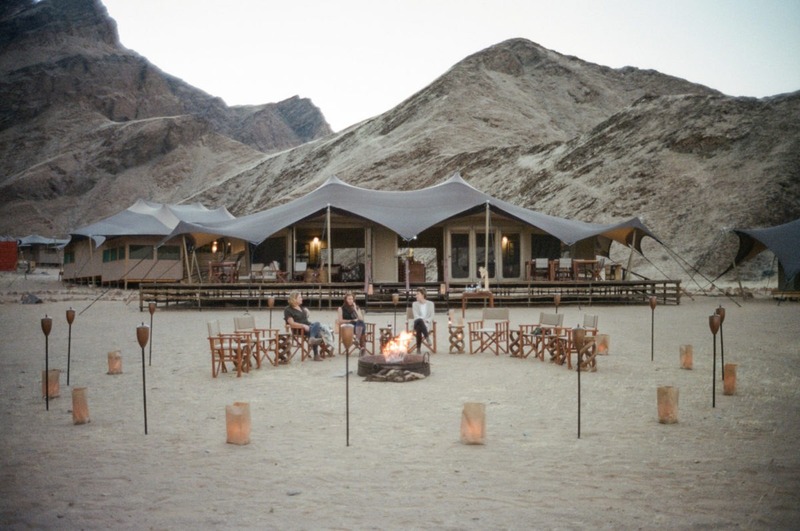 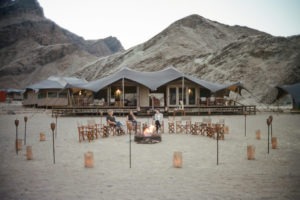 To top it all off, at the end of every day guests can gather around the campfire and share the memorable experiences this spectacular camp provides. 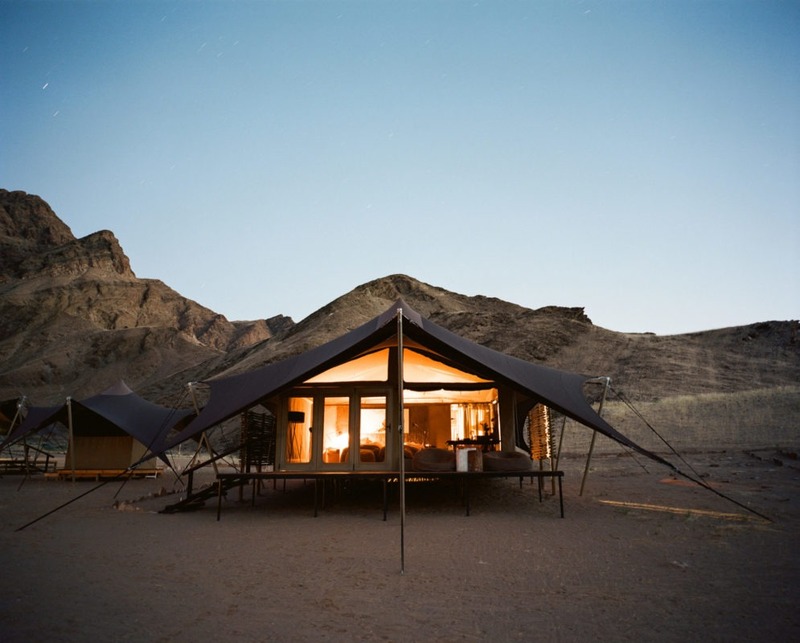 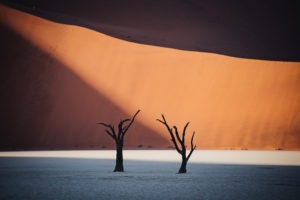 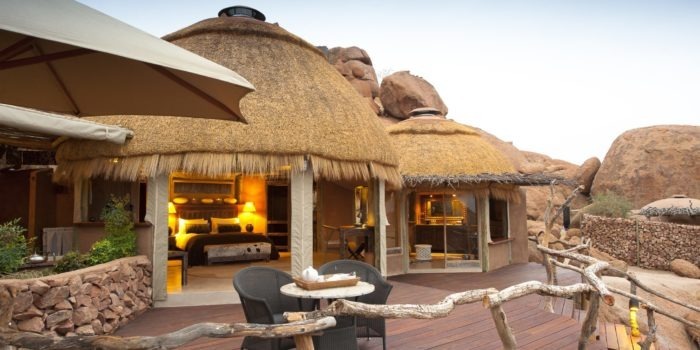 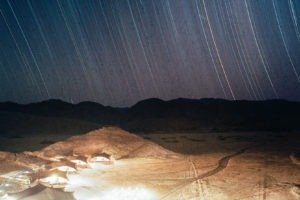 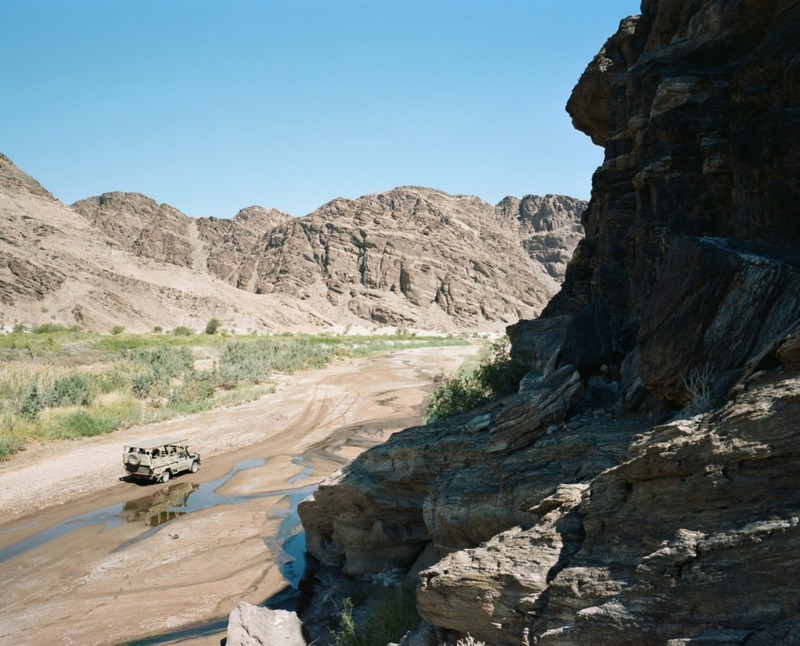 Located in the remote wilderness of Northern Namibia. 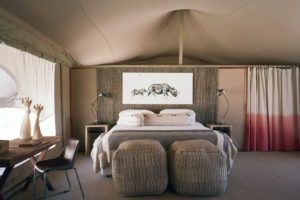 Pure tranquility, only six tented rooms! 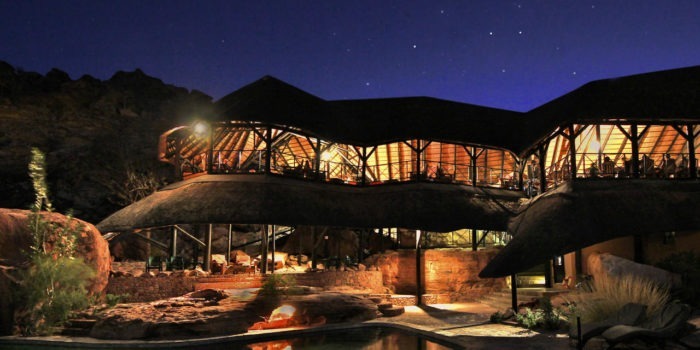 Committed to conservation, supporting the world’s only Africa-wide giraffe conservation organisation. 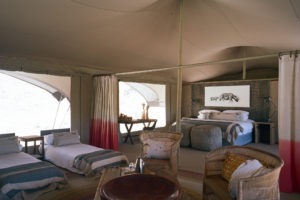 Eco-friendly camp leaving no footprint on this special eco-system. 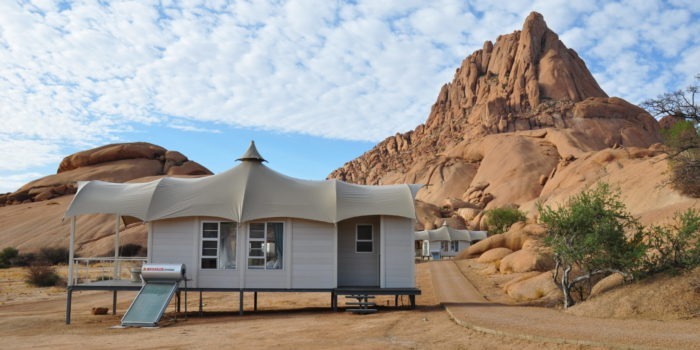 Designed and built with regional materials to support local communities.